AMC recently renovated its movie rewards program. 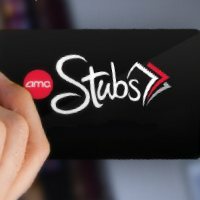 AMC Stubs now gives members better discounts and easier ways to access them. I’ve been using the program for a few weeks now, so here is my take on the good and bad of it. First off, unlike the old Movie Watcher program, Stubs is not free to join. A membership costs $12 a year (that’s $1 per month) and the member receives two cards. If used regularly, the member should make that all back and more. The primary money saver is receiving gift certificates for spending money. For every $100 spent at AMC (on tickets or concession) members get a $10 gift certificate, and it’s applied right to the card. Gone are the days of carrying around ticket stubs to redeem for free tickets, everything is done electronically and is viewable at the AMC Stubs website. Gone too are the days when you could only get credit for two tickets per movie. When I go to the movies with a group of friends I have them all use my card and get credit for every swipe. With tickets at almost $11 at my theater, this adds up quickly. Then there are concession upgrades. Want a large popcorn and soda? With the card, members receive a free upgrade to the next largest size. Large’s for the price of medium’s – and the cost still counts towards the next $100. Another benefit of the program is that service fees on tickets bought through Fandango or movietickets.com are waived. Services fees often add $1 to $1.25 to the price of each ticket. With the AMC Stubs card there is no online servicing fee. So to break it down, an average night at the movies for me and my girlfriend used to costs around $36. Each ticket is $11 plus $1.25 each is $24.50 plus another $11 in concessions. With my card I shave about $4.50 off each visit. Plus I then get $33 towards my next $10 gift certificate. In the last month, with some smart use of the card, I have accrued $40 in rewards money and saved $23 in ticket fees and $17 at the concession stand. The only major down side is that members can’t get any credit towards tickets if they use a Costco Voucher to pay for the ticket.